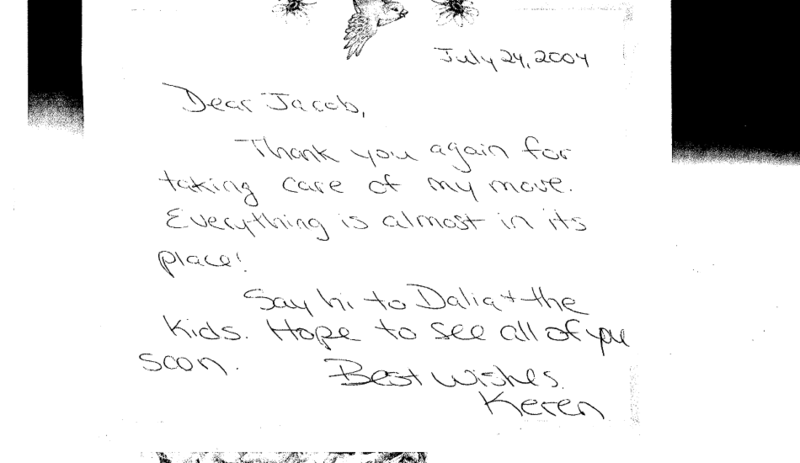 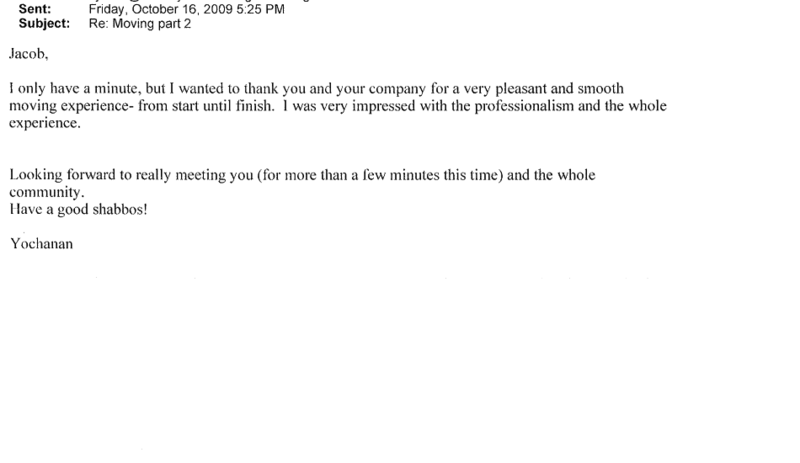 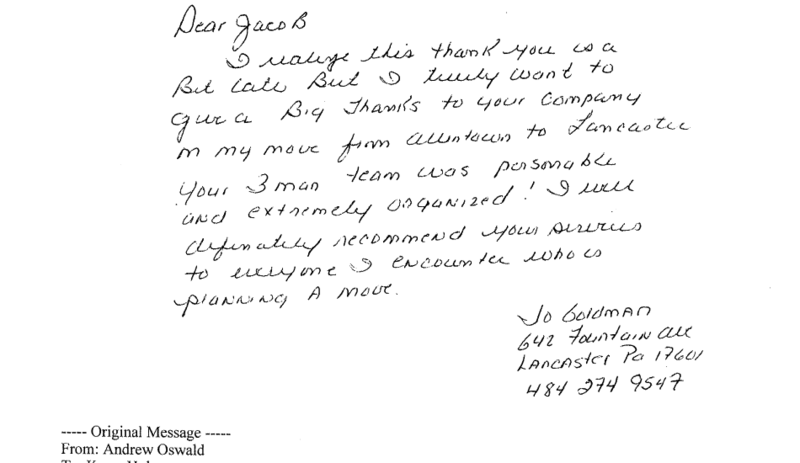 Our customer satisfaction helps us stand out of the competition! 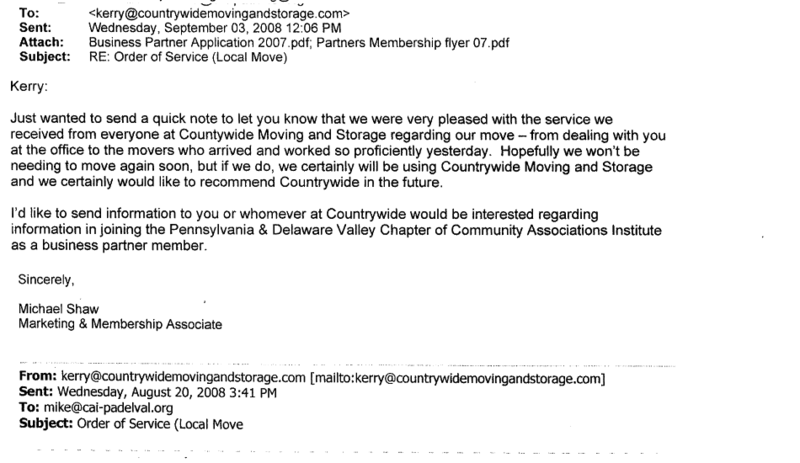 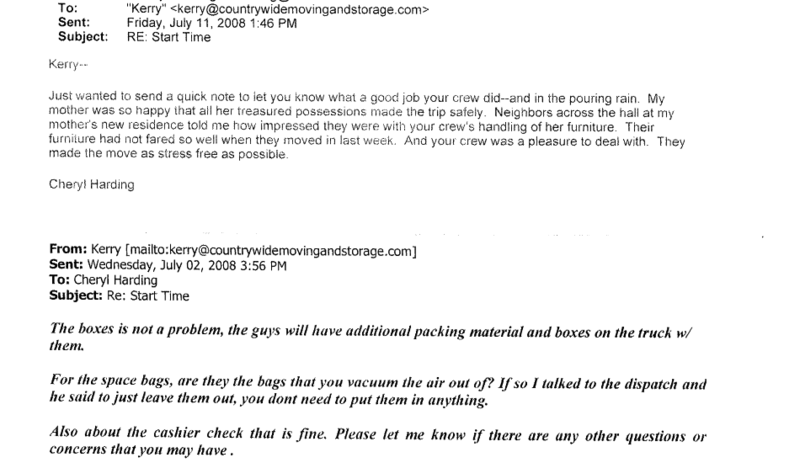 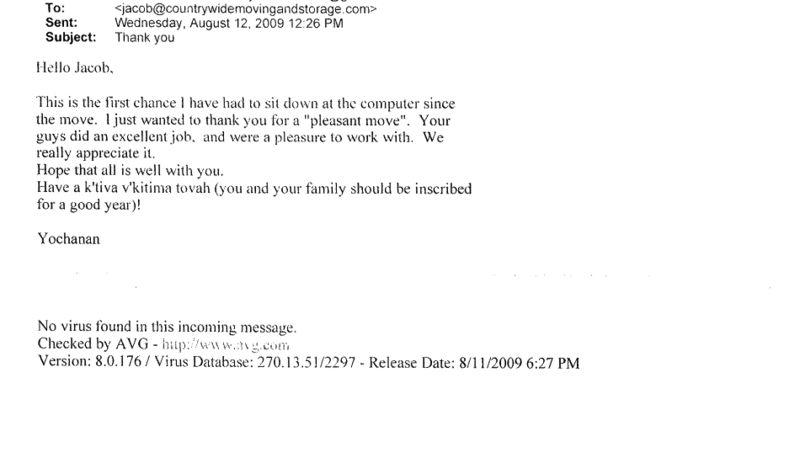 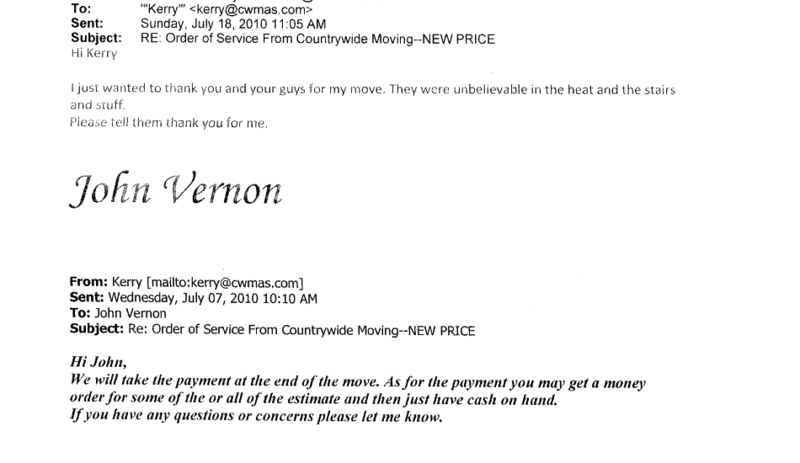 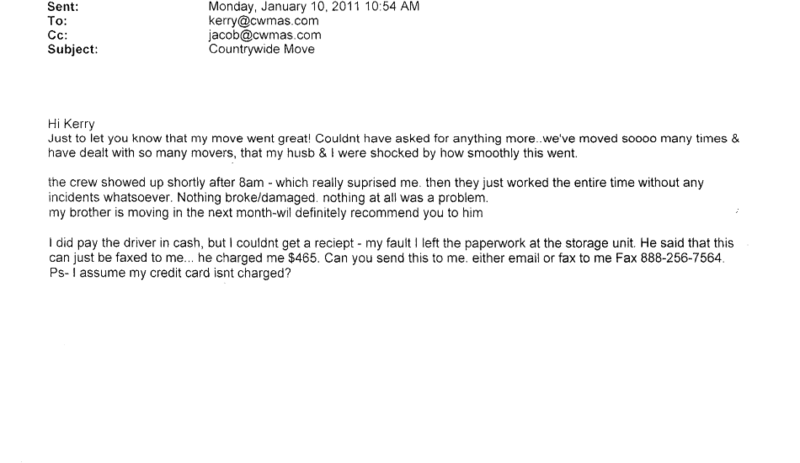 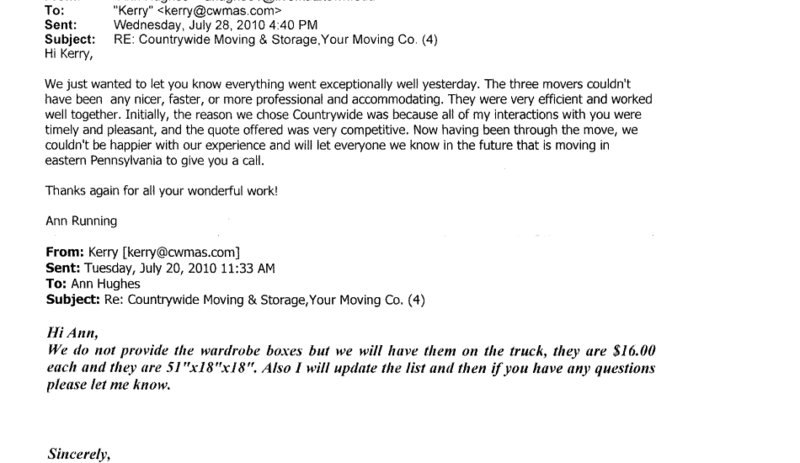 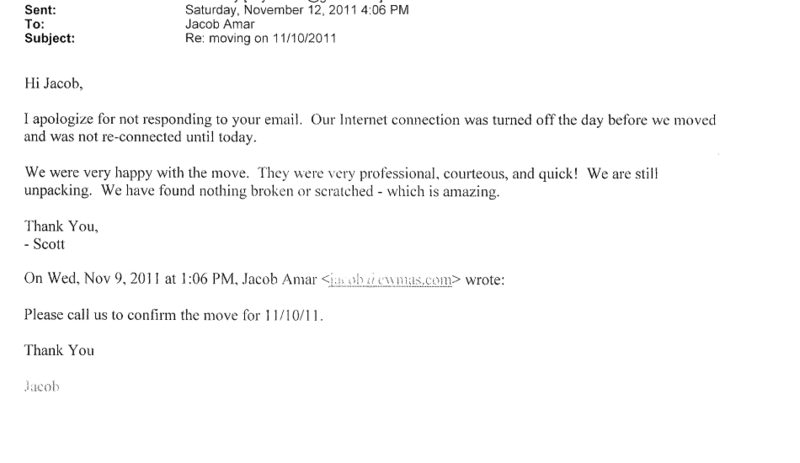 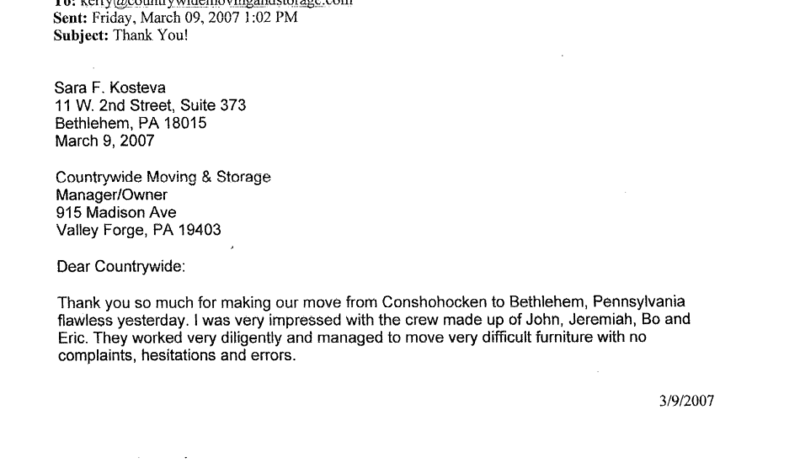 Countrywide was very polite,pleasant and efficient when helping us move. 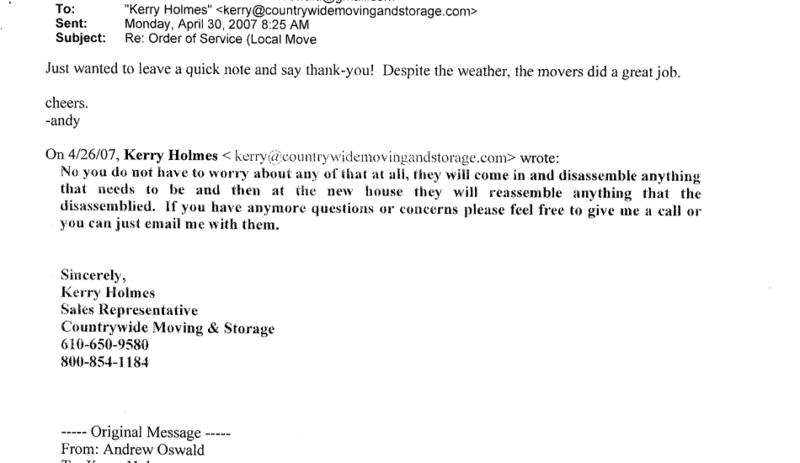 We want to thank Countrywide Moving for making our move as simple and productive as possible. 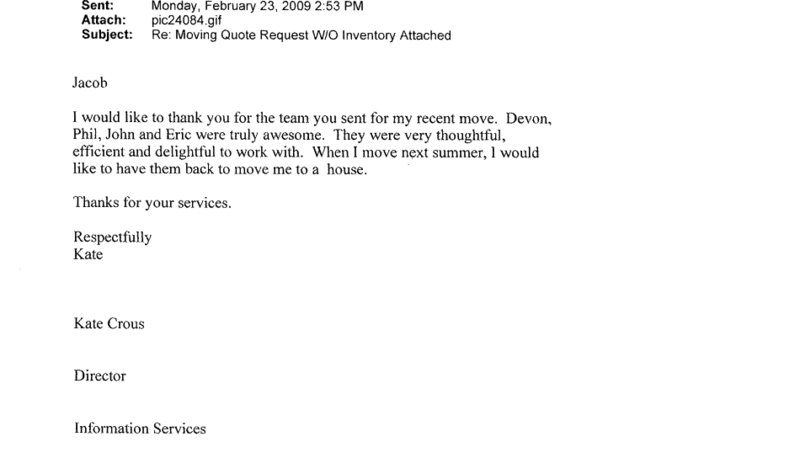 Your service is one of the best imaginable,and your employees were very positive and helpful when moving my products. 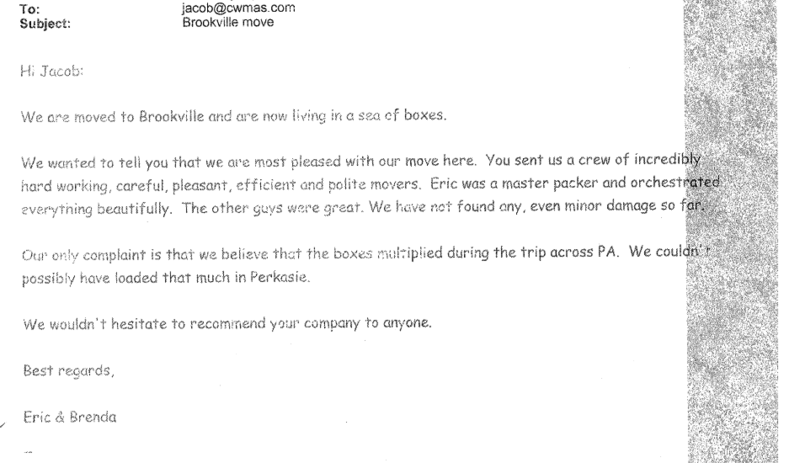 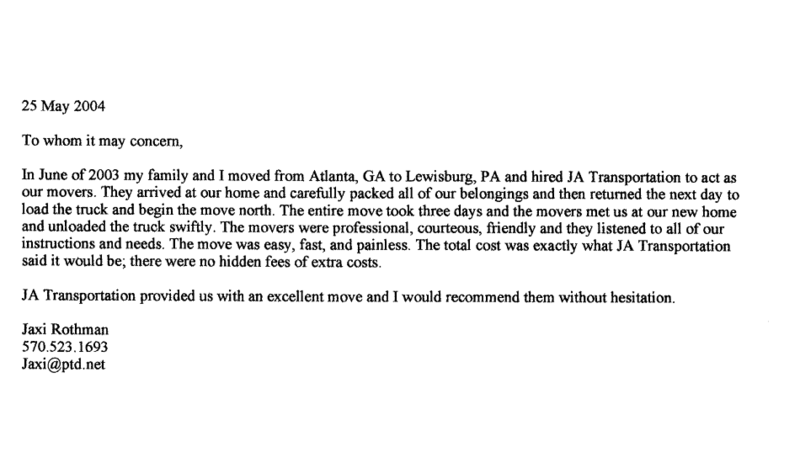 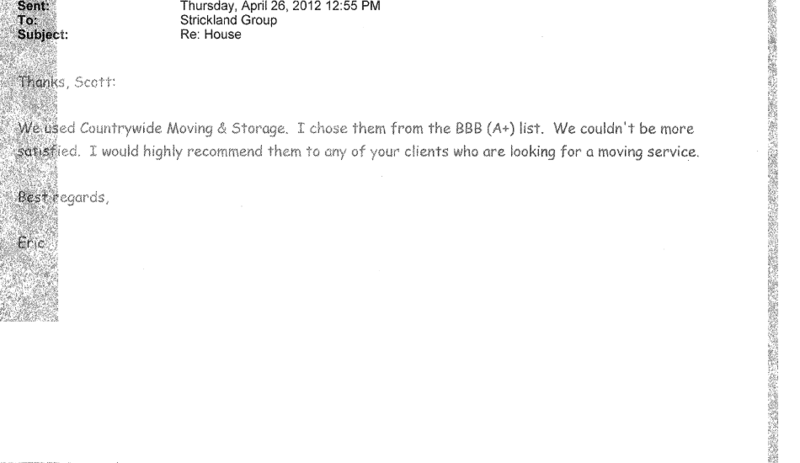 I want to thank you for making our move so easy on us.This was the best moving team I have ever worked with. 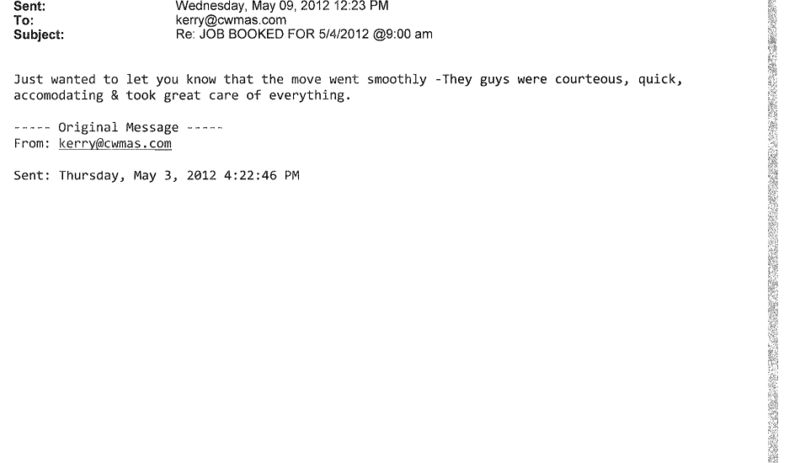 What a wonderful group, they all worked great together. 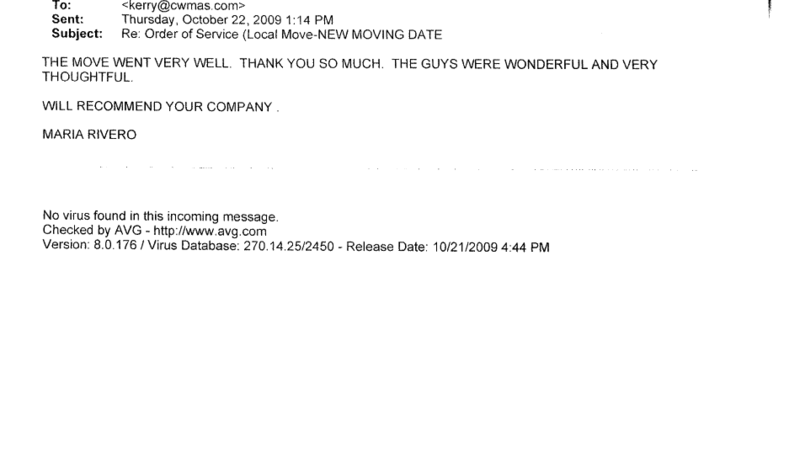 It made moving that much easier.